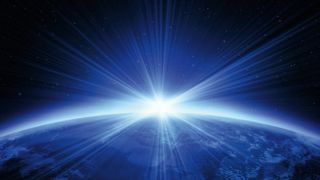 Akamai Technologies has released its "State of the Internet" report, containing data and summaries of the wireless connectivity, network security and metrics surveyed by the company's Intelligent Cloud Platform. The good news for all is that internet speeds on average rose by 10 per cent quarter-over-quarter in 2013 and were 29 per cent faster than in 2012. South Korea, Japan and Hong Kong hold the top spots for the countries with the fastest connections, with averages of 22, 13 and 12 Mbps respectively. The U.S. makes it into eighth on the list, with The Netherlands and Switzerland representing the fastest in Europe at fourth and fifth. Despite government rollouts and projects across the country, the UK doesn't appear in the top ten. Ireland does however, sneaking into tenth with a remarkable 43 per cent improvement in its broadband infrastructure from 2012. Unfortunately, cyberattacks have been on the rise too. Wide-scale DDoS attacks grew sharply in 2013, with Q1 through to Q3 having more attacks than the entirety of 2012. China and Indonesia were home to the hackers in 2013, with 35 per cent and 20 per cent of attacks coming from those countries. Akamai also reports that IPv4 addresses are running low, with IPv6 adoption remaining slow. Major consumer service providers are lagging behind in using the new protocol, too. The only company to show healthy adoption rates was Google Fiber, which delivers 51 per cent of its traffic through IPv6. On the mobile broadband front, speeds increased healthily as the market for smartphones and tablets exploded. The average speed for users in the U.S. was 2.1 Mbps, while the world leader in mobile broadband speeds was a provider in Russia, clocking in at a whopping 9.5 Mbps on average. Voice calls are still on the rise, even with a huge leap in mobile data usage, showing that despite all the advancing internet technology, people thankfully still want to talk to each other.